They have such friendly names these storms. Adrian does not sound like a Halloween character, does it?But the storm on Monday and Tuesday that hit the coast-line was most definitely frightening. Unlike Halloween, even though a storm had been forecast, nothing of this ferocity was expected. 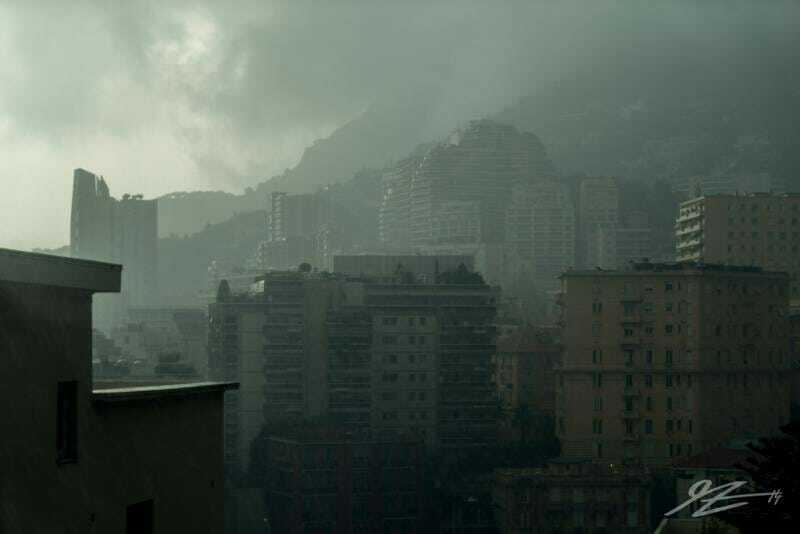 It was, when it hit Monaco’s shoreline, more like a ten-year event than a typical autumn storm. In fact, ten years is an understatement- think of a freak twenty or thirty-year event. 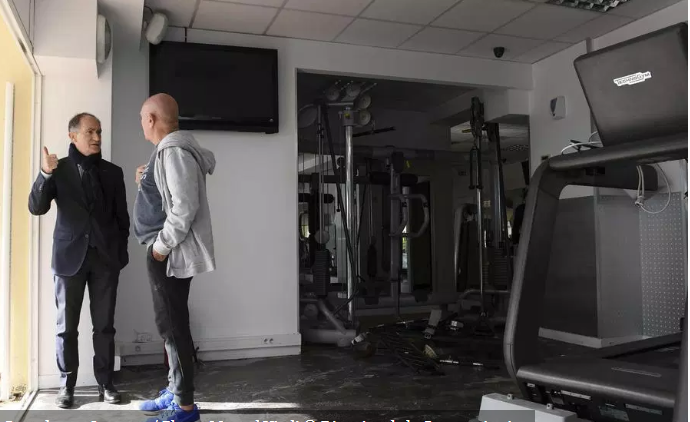 Of course, something of that magnitude made headlines in the press too, as it wreaked havoc along the coastline of Monaco as well as neighbouring France. In fact, if you can imagine a wall of water 7 metres high bearing down on Larvotto and Fontvieille, that’s the scale of the impact. Larvotto promenade at the lower level was simply overwhelmed. Similarly, Fontvieille and the Heliport took a battering. The Heliport is still in action, though at reduced capacity, with two out of eight of the helicopter stations in service. The frames of the hangars facing the sea took a real beating. You can see how much they have been bent out of shape. There are still memories from when the sea-front embankment and Quai at Fontvieille took a severe battering four years ago. This time it was worse. The Ship and Castle Pub, Monaco Plaisance, Roca Jet Club, Lomac, all suffered damage and destruction all around. Larvotto was particularly hard hit. There is a low partition wall that in normal circumstances would act as a protective barrier for the commercial premises along the promenade. The storm jumped the wall, virtually taking a good part of the beach with it. And then the wall actually kept the water swirling around inside its perimeter, alsosteering the flooding into the car park. And who knows what effect the lengthy, supposedly-protective,floating tube had that separates Larvotto from the sea-construction works in Portier Cove. Did it worsen things or not? Complete bedlam all along the Larvotto frontage! All the favourite spots have suffered significant damage, Neptune, La Note Bleue, Miami Beach. Not just restaurants either; also the kids’ playground and day-care centre. This was a very cruel way to close the tourist season – a storm of this proportion leaves hurricane style devastation. Catastrophe for those with irrecoverable losses, particularly when insufficiently insured. 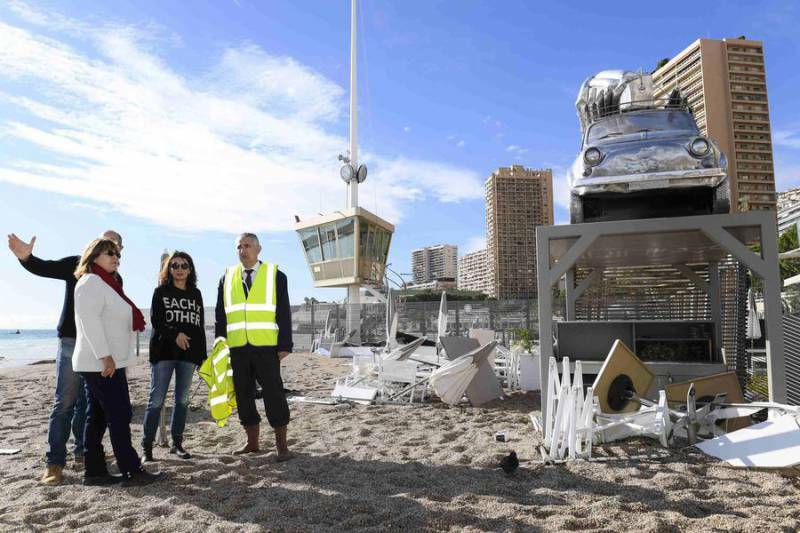 Monaco deployed all its civil rescue teams to clear detritus at Larvotto and Fontvieille and start mopping up and offered help to businesses and people who have been impacted hard. And not least, the Principality has to be prepared for more turbulent weather. It is not necessarily over yet. More storms are forecast. Marie-Pierre Gramaglia, Government Minister for Public Works, Environment, and Urban Developmentmobilised clean-up teams, including a large group from SMA, Sanitation. And all the following services and Government Agencies have been called in to help, such was the severity of the storm and the need to deal with the aftermath: Jean Castellini, Minister of Finance and the Economy, Jean-Luc Puyo, Director of Urban Services/Amenities (DAU Amenagement), Remy Rolland, Administrator of Sate Properties (Domaines), and also the Direction of Affaires Maritimes (DAM). More bad weather is on its way. Everyone facing the sea-front will be experiencing more dislocation and damage. This will not be a one-day clean-up. Sadly, those affected are in for a lengthy period of reorganisation before they can get their businesses back to normality. And some may face closure because of the severity of the damage. The Government has its hands full helping out and will be fully engaged, reinforcing efforts not only in dealing with the impact of storm Adrian, but strengthening defences against future storms.